Concrete Renovations Ltd's Sponge Media Delivery System is an example of our dedication to pushing forward the boundaries and capabilities of abrasive cleaning. Designed to add speed and decrease dust in the removal of paint and other coatings when compared with other more traditional methods. This range of machinery when combined with an appropriate Sponge Media will perform a varied range of duties i.e. aggressive blast cleaning and surface preparation, selective striping of individual layers of coatings from delicate substrates or surface cleaning/decontamination with no damage to the substrate. Making our service of interest to a miriad of consumers in all sectors of industry including those application such as deburing, polishing, requiring surface preparation specification heretofore unattainable or unsatisfactory using traditional technology. Media is poured into a Blast Feed Unit where it is mechanically stirred and fed into a rotating screw-auger port at the bottom of the pot. The auger entrains the sponge in a variable pressure air stream - and the air-media mix flows through a hose and venturi blast nozzle to impact the work surface at 15 to 100 mtrs (50 to 325 ft.) per second depending on the blast pressure. On impact with the surface the sponge particles compress and slide across the surface producing a scrubbing and cleaning action, more similar to a sanding effect eliminating the more harsh and dusty negative effects associated with conventional grit blasting. The abrasive particles remove the paint coating or corrosion products and the media rebounds at quite low velocity as the media converts the majority of its energy into work at the surface. For most projects a tarpaulin or light plastic sheeting around the work area will contain media for pick-up and recycling. The SpongeBlast media will generate less than 10% of the airborne dust levels normally experienced with conventional grit blasting medias. 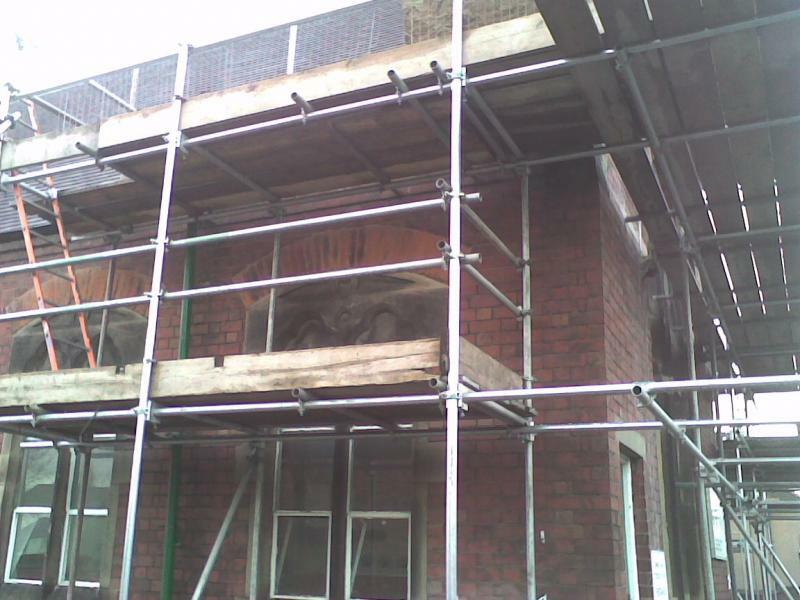 This is a key Health and Safety benefit when removing lead and chromate paints. The Media Feed Unit requires a 7 bar (100 psi) air supply - capable of supplying clean dry air at 6 to 10m3/min (210 to 353 cfm). For steel substrates, select Sponge Blast media with 30 or 16 screen Alox abrasives and you have a fast-cutting low-dust depainting and surface preparation tool. This type of media can give SP7 to SP5, NACE 4 to NACE 1, (Sa1 to Sa3), surface quality with profiles from 0 to 4+mils, (0 to 75+ microns). Sponge Blast media is ideal for railway rolling stock maintenance, oil and gas pipeline depainting and inspection projects, shipyard repair work, nuclear decontamination and general industrial coating and rust removal. The media also has numerous applications in civil engineering contracts where it is used to clean off process stains, graffiti and environmental pollution and soot from concrete buildings, bridges and other structures, resulting in an excellent method for building façade and or interior refurbishing. Sponge blast media can typically be recycled 8 - 15 times depending on the blast pressure, surface geometry, and contaminant levels. To maintain the system's low-dust benefits, media must always be cleaned before reuse either by our airwash or mechanical vibration equipment. For maximum cutting speed, Concrete Renovations Ltd recomends that used sponge blast media is topped off with new media each cycle. Sponge Blast media consists of aluminium oxide (Alox) abrasive particles embedded in closed-cell urethane sponge granules - a combination that ensures low-dust blast cleaning operations. This media, with Alox 320 or 220 screen size abrasives, is used by aircraft OEM's and leading maintenance specialists to remove paint coatings, layer-by-layer, without damaging sensitive metallic or composite substrates. For depainting transmission critical Radomes, we recommend Sponge Blast media containing fine grade Garnet abrasives. 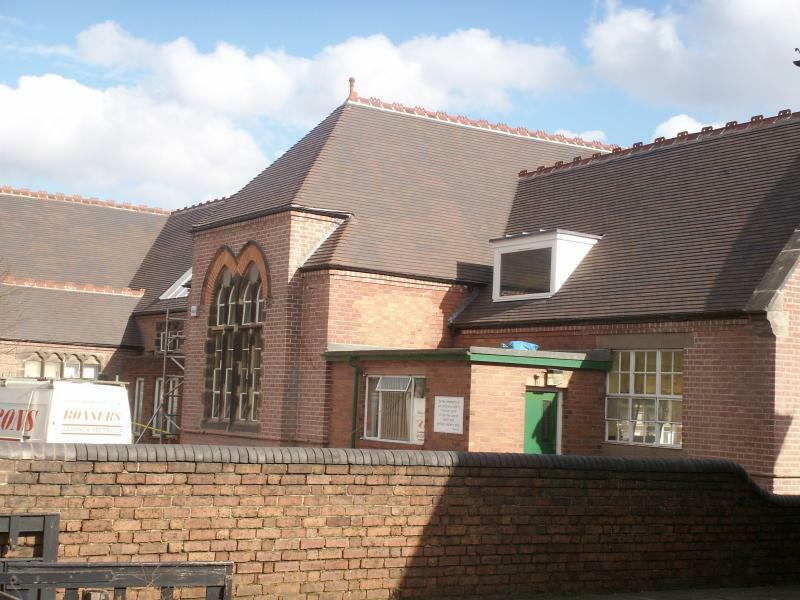 This Victorian school close to Walsall remained open during cleaning of the external brickwork, thanks to Concrete Renovations Ltd's sponge blast system. 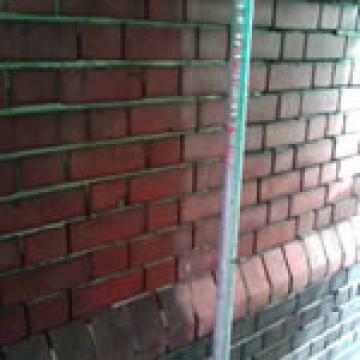 Sponge blasting the brickwork eliminated the risk of water and dust contamination entering the classrooms allowing the school to continue its daily routine with little disruption. 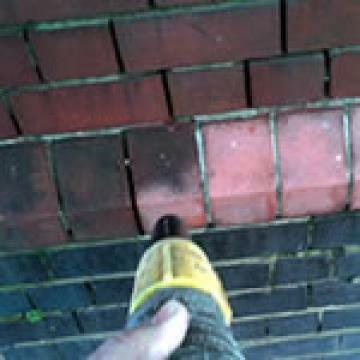 Concrete Renovations Ltd's sponge blast technique being a dry cleaning system eliminates the usual staining and slurry associated with wet systems, it also eliminates the risk of slipping on wet slippery surfaces and ensures that no contaminating the water course occurs. The greatly reduced dust emissions and reduced rebound from the pressure equipment also provides a much safer working environment for other trades on site, and with minimal fencing provided safe access to the school for pupils, staff and visitors. All of the sponge media was collected during the operation and recycled on site, so reducing the need to send waste products to landfill.